It has been nearly seven years since my first visit to Nicaragua. Much work has been done there and much is left to do. The question that remains is what has been the quality of work that we have engaged in? From a human standpoint, we have been successful. We have fed families, constructed a church building, even improved the quality of life for many. From a spiritual standpoint, the question becomes increasingly more difficult to answer. Have we truly helped the people of Nicaragua? Too often, our missiology is simply evangelism. Whenever someone tells you that they are missionaries to a foreign country, you envision preaching the gospel everywhere they go, holding rallies, Vacation Bible Schools, and claiming that so many have come to faith in Christ. While not discrediting the work of many missionaries in the past, we must be realistic in our views. Evangelism is an element of missional work but not the only element. Missions is so much more than just the proclamation of the Gospel. One day, while eating lunch on our last trip in Nicaragua, we encountered another pastor from the United States. The first question that he asked was “how many souls have you saved?” Now, I understand his question and I am sure that he was sincere in asking it but I can’t help to ask, has he missed the point entirely? Firstly, we do not save people. This alone is reserved for God. Sure, we share in the work, but even if we preached the Gospel everyday but never saw anyone come to faith in Christ, does that mean we have failed in our mission? Adoniram Judson, missionary to Burma in the 19th century, invested his entire life to missions. He faithfully preached the Gospel to the Burmese people and it wasn’t until 6 years did he see his first convert. It would benefit us well to not focus merely on the numbers of people making confessions but rather ensure that we are being Biblical in our missiology. Just because we do not see converts, it does not mean we are being unfaithful. Thus, when we identified the problem as we came returned, it was quite discouraging. We saw in Nicaragua that the primary focus was merely to get a confession out of someone. Once that occurred then very often you would never hear from them again. With false teaching and a lack of discipleship abounding, it becomes a very hostile place to new believers. As you can see anywhere in the world, when someone is in a desperate state in their lives, they will say almost anything if they think you will help them. If you ask them if they want to believe in Jesus and you are about to hand out food right after, they will say yes every time. They think that this is what you want to hear. They also know that if they say yes to you, you may help them even more. I would dare say that if you asked them if they wanted to accept a banana into their heart, they would as long as you gave them the banana afterwards. Our models are no different. We put on our Vacation Bible School model. The same kinds of children are the same ones getting ‘saved’ every year. Whether it is because they want to go to snack time, or one of their friends said yes to Jesus, they still do it. More times than not after this occurs, no one is there to ask them simple questions such as “Why do you want to follow Jesus?” or “Why do you need to be saved?” The answer to those questions are not so I can go to heaven or so I do not go to hell. The answer to those questions should be because I have sinned against God, he alone can forgive my sin, and I want to be in a relationship with him. A disclaimer needs to be inserted here that I am not saying a child cannot be saved at these events, as long as the Gospel is clearly preached, but I am saying that maybe it is hurting more than helping. There could be better ways to do these types of things. For the one child who is converted, there are nine others who really do not understand the implications of their decision. I speak from personal experience in this matter. My challenge has been not to just focus on evangelism alone. We don’t need more conversions, but rather we need more disciples. I am not questioning motivation but rather I am questioning the means by which it is done. This starts with proper leadership. The same can be said here in Ashe County and that is why we value leadership at The Gathering. Pastors are to shepherd the people, train them, and disciple them (cf. 1 Tim. 3; Titus; Hebrews 13:17; 1 Peter 5). Pastors are not to be the only ones evangelizing. Church members are to partake in the ministry of making disciples just as much as the pastor. Pastors are called to equip the flock to evangelize and make disciples. Our hope is that in Nicaragua, in Ashe County, and across the world we can train leaders adequately. We do not want to partner with a ministry that does not have Biblically qualified leadership installed or is at least not heading in that direction. Having successfully identified the problem is a relief but also it demands that we take the work seriously that we partake in. I challenge each one of you reading this to pray earnestly for leaders in Nicaragua. Pray earnestly for leaders in Ashe County. This includes pastors, elders, and deacons. In order to see the work that we have been a part of for the last seven years as successful, we need leaders for the generations to come. 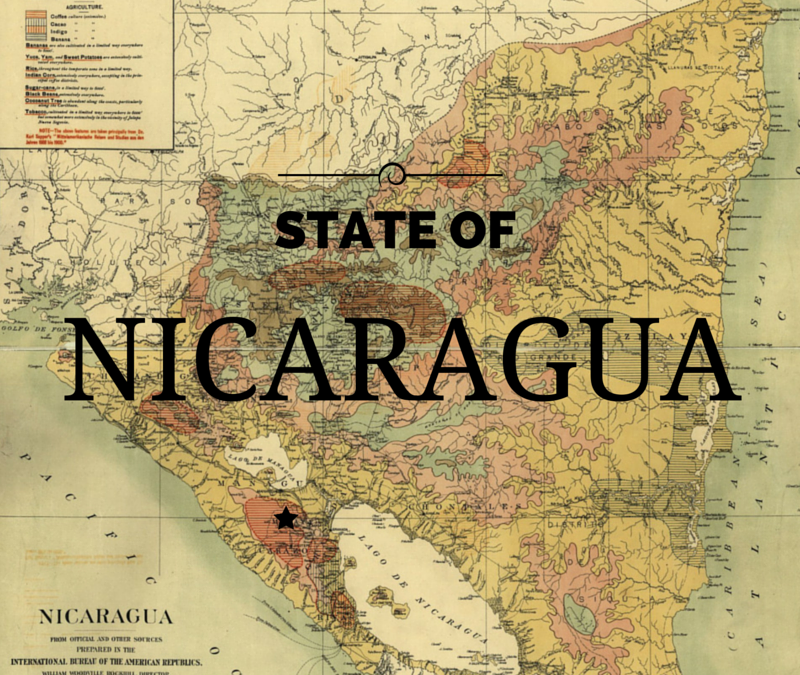 Not just in Nicaragua but to the ends of the earth. May God show his grace.